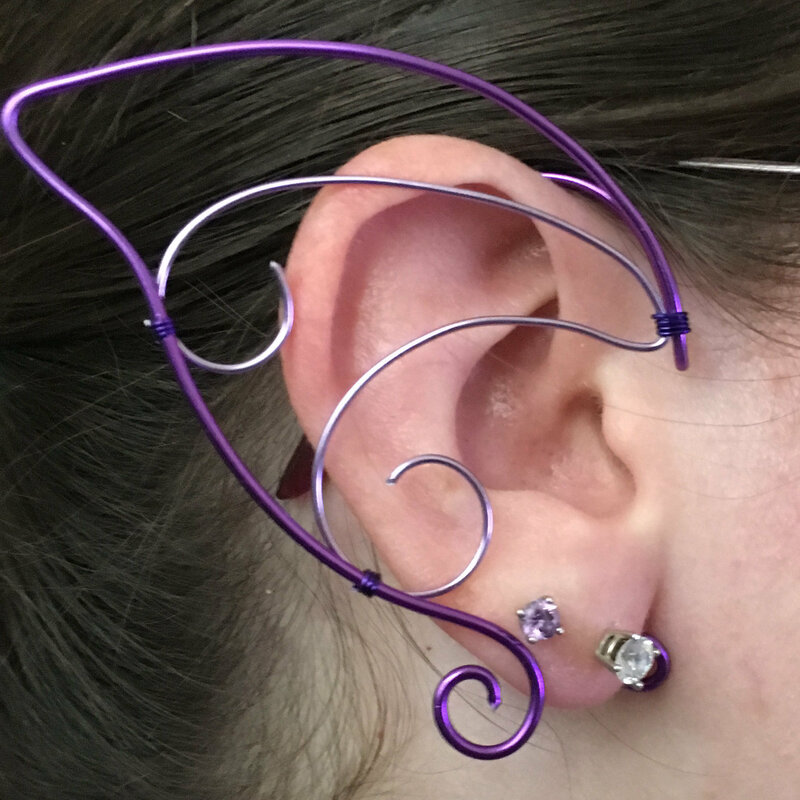 Elf Ear Cuff – Purple and Lavender | Elf Ear Cuffs – Geek Girl Stuff – Geekery, art, jewelry, and more! Make your ears look like elf ears with these hand crafted ear cuffs! Each pair is unique and wrapped by hand using aluminum wire of various colors. Perfect for cosplay, SCA, conventions, or Renaissance fairs!